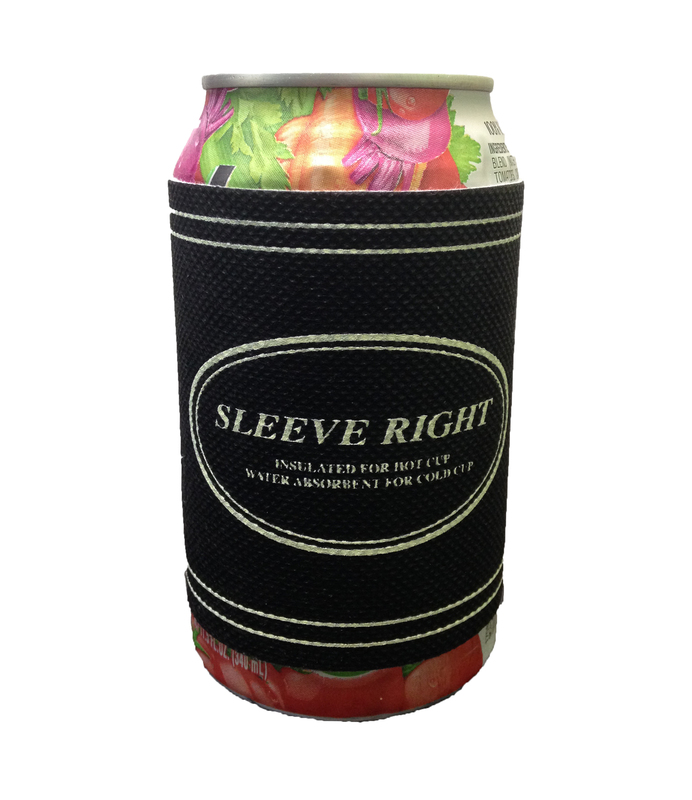 Sleeve Right is a new cold and hot cup sleeve technology for the beverage industry. This premium product provides many benefits that have eluded other similar products. Sleeve Right protects the hand from the cold, absorbs the condensate moisture, and provides a warm and comfortable feel to the hand. The Sleeve Right sleeve actually grips the cup and will not fall off. The exterior of Sleeve Right provides a positive grip to the hand while providing thermal protection.